I love Santa (and even the creepy little Elf on the Shelf) so much. It brings so much magic to our Christmas season, and brings out the little child in all of us. But what I love more is being able to celebrate the real magic of the season – the birth of our Savior. And no it’s not magic at all, it is very real. But it gives us that sense of awe and reverence. It reminds us of what is truly important and focuses us on our King. Some find it hard to mesh the two – Santa and Jesus – or chose not to. And you know what, that is ok. Honestly God doesn’t care if we celebrate Santa or not (shhhh!). But what He does care about is that we don’t elevate Santa to the same level as Jesus. But alas, this is not a post about the great debate of Jesus versus Santa though. There are a gazillion of those out there and everyone has their opinion. And that is OK. Seriously – it is OK people. Also, is it just me or do your children go completely “wild banshee” mode (more so than usual) when you put them on lockdown for your nightly Advent readings?!? It’s a complete three-ring circus and for heaven’s sake “YOU WILL SIT STILL AND HEAR ABOUT JESUS!! !” Am I right? I’m not here to tell you I have it all figured out because I don’t. I have one of those “spirited” children. But what I do want to share are a few easy ways for you and your family to celebrate Advent without losing your marbles. And listen closely – it is OK if you miss some nights. It drives the OCD in me crazy. But Jesus cares more about our hearts and our intensions than our checklists. Grace people, grace. There are TONS of these out there. Literally it can make your head spin to try to figure out which Advent activity or reading to do with your family. I’ve broken some of my favorites down into age groups to help you out. This one is great for all ages but especially the little ones who are constantly on the go. It’s our current selection and we love it. It is based on Isaiah 11:1, “A shoot will come up from the stump of Jesse; from his roots a branch will bear fruit.” This refers to the lineage of Jesus and about His birth. We have 25 ornaments that are mostly handmade (although you can purchase them) that correspond to a symbol and a verse. Our son hangs the ornament on special tree and then we read the story (where the verse came from) out of The Jesus Storybook Bible (you don’t have to use this version but it easily follows along with the verses for the Jesse Tree). Pinterest has TONS of great ideas for how to make ornaments, either with your kids or with small groups, which adds to the fun. Grace for Moms has a great Advent Devotional plan for the whole family called Grow with Me. 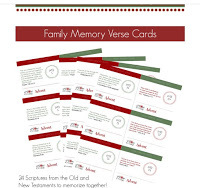 It includes a parent devotional, a family memory verse, and discussion/activity ideas for specific age groups. You can download it right off of the Grace for Moms blog site. Honestly you can just never go wrong with Focus on theFamily material. Dr. James Dobson and his team are amazing and speak truths right to our hearts. They get to the basics of what is truly important to family. They have a great (free) downloadable family advent reading plan on their website that you can have emailed to you. This is one of my favorites and in Ann’s poetic style, she brings the Jesse Tree to life for older children and adults alike. It includes a book with the verses and corresponding devotions, as well as 25 beautiful ornaments that go along with them. The ornaments are extremely fragile so that’s why I recommend this one for the older audience. Again, this is a simple yet straight to the heart of Jesus way to celebrate the Advent season. This may be one of my favorite things because it combines Advent along with a fun way to give back. Our Elf on the Shelf actually brings this to our son for us to begin along with our Jesse Tree. 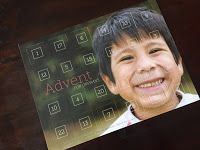 Lifesong forOrphans publishes a free Advent for Orphans calendar each year. Each day (on the back) there is a specific prayer for orphaned and vulnerable children in different areas of the world. Then there is a flap that you lift each day that tells you ways you can give, which are very simple. You can order your free copy from Lifesong for Orphans website, but generally they do run out by mid-November so keep this one in mind for next year. This is a great way to not only focus on Advent, but to get your children focused on giving instead of receiving. Ok this may be the easiest way to celebrate Advent yet. I love, love, love these Advent Calendars/Cards created by Naptime Diaries and Persimmon Prints. They are beautiful and can be used to decorate your home, and they are a super easy way to celebrate Advent without going into full lockdown mode with your kids. Honestly I would leave these up all year and then you can bring them into conversation at any time. Talking about Jesus doesn’t have to always be sooooo structured. Keep it simple! My friend Logan Wolfram has designed Advent Gift Tags this year and I love them! This is another free download and comes with 25 fun facts about Christmas and scriptures to celebrate Advent. This would make a great gift, or the tags would be perfect if you like to have tiny gifts for your children to open each day of Advent. I love having the Jesse Tree and combining it with supporting orphan care through the Lifesong for Orphans Advent calendar. It’s great for family time. But I also need my own time with the Lord each day and I love having something that focuses me in my personal study of Advent. My favorite daily devotional team, She Reads Truth, does a fantastic study each year for Advent. You can follow along in three ways – purchase the devotional from their website, read along for free on their website, or download the She Reads Truth App. I can’t recommend She Reads Truth enough! I follow along with them all year long. I hope these ideas for celebrating Advent have been helpful and somewhat liberating. Just remember that God cares about our hearts, not our checklists. Grace upon grace.